1) (co. Berks; granted 1575). Chequy or and az. a bend erm. Crest—An Indian goat ppr. collared, ringed, lined, and armed or. 2) (co. Berks). Ar. on a chev. sa. three lions’ heads erased of the field. 3) (co. Cambridge ; Simon Ward, temp. Edward III., had a dau. and heir, Benedicta Ward, m. Sir John Babington, Knt., of Over Babington, co. Northumberland. Visit. Notts, 1614). Or, a fret az. (Visit. Oxon, 1574, gives, sa. Sometimes az. a fret or). 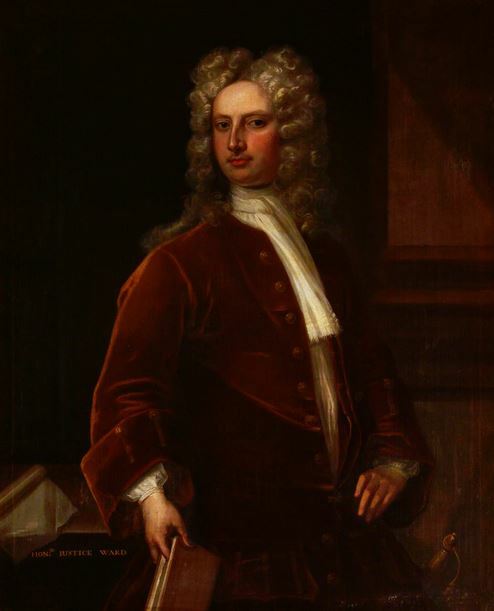 4) (Abington, co. Cambridge; Thomas Ward, of Abington, a third son of Ward, of Carlton Curlew, co. Leicester. Visit. Leicester, 1619). Az. a cross flory betw. four annulets or. 5) (Capesthorne, co. Chester; Reg. Ulster’s Office). Quarterly, 1st and 4th, az. a cross pattee betw. four fleurs-de-lis or; 2nd and 3rd, ar. a chev. betw. three martlets sa. Crest—A martlet or, holding in the beak a fleur-de-lis sa. 6) (co. Chester). Az. a cross pattee or. Crest—A wolf’s head erased or. 7) (co. Chester). Az. a cross pattee erminois betw. four fleurs-de-lis or. 8) (Bishop Middleton, co. Durham). Az. a cross flory or. Crest—A wolf’s head erased per fess or and az. 9) (Bowes, co. Durham). Az. a cross patonce or. 10) (Trindon co. Durham). Az. across flory or, a crescent for diff. Motto—Vincit veritas. 11) (Great Ilford, co. Essex; confirmed by Segar, Garter). Az. a cross patonce or, a mullet for diff. Crest—A wolf’s head erased or, on the breast a mullet sa. for diff. 12) (co. Essex). Az. a cross flory or. Crest—A wolf’s head erased per fess or and az. 13) (Bristol, co. Gloucester). Quarterly, 1st and 4th, az. a cross flory ar., for Ward; 2nd and 3rd, gu. a chev. betw. three mullets or, for Danvers. 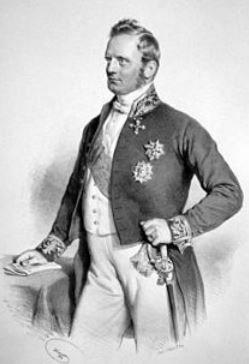 14) (Northwood Park, Isle of Wight, co. Hants; George Ward, Esq., of that place, was eldest son of John Ward, Esq., and grandson of John Ward, who served at the capture of Gibraltar). Az. a cross moline or. Crest—A wolf’s head erased and langued ppr. 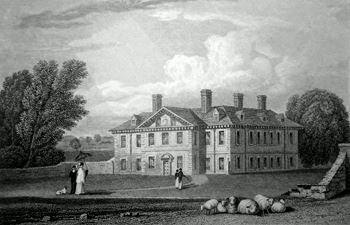 15) (Plumer-Ward, Gilston Park, co. Herts; Robert Ward, Esq., younger brother of George Ward, Esq., of Northwood Park, Isle of Wight, acquired Gilston Park by his second wife, Jane, relict of William Plumer, Esq., of Gilston Park, and dau. of the Hon. and Rev. George Hamilton, son of James, seventh Earl of Abercorn, and assumed, by royal licence, the additional surname and arms of Plumer. 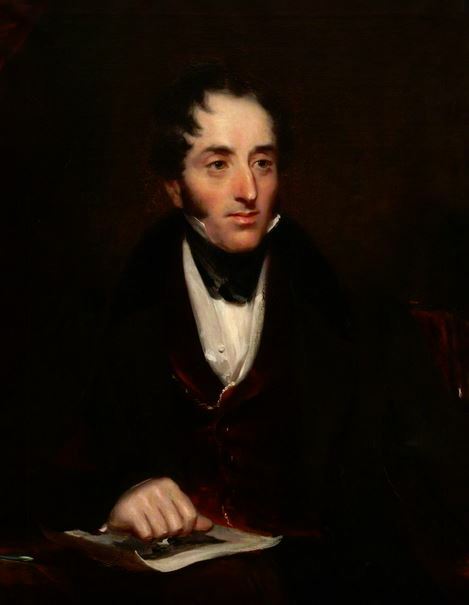 Mr. Plumer-Ward, who was appointed one of the Welsh Judges in 1805, filled several high offices of state, having been Under Foreign Secretary, a Lord of the Admiralty, Clerk of the Ordnance, and Auditor of the Civil List; in 1832, he was High Sheriff co. Hertford; he was distinguished in literature as the author of the “History of the Law of Nations,” and of “Tremaine,” “De Vere,” &c.). Quarterly, 1st and 4th, az. a cross moline or, in the dexter and sinister points in chief a key and an anchor respectively, for Ward; 2nd and 3rd, per chev. flory counterflory gu. and ar. three martlets counterchanged, for Plumer. Crests —1st, Ward A wolf’s head erased and langued holding in the mouth a key all ppr. ; 2nd, Plumer: A demi lion gu. holding in the paw a garb or. Motto—Give tho thanks that are due. 16) (Hinxworth, co. Herts). Lozengy or and gu. a saltire az. fretty ar. 17) (Calverley, co. Kent). Az. a cross flory or. Crest—A wolf’s head erased ppr. langued gu. Motto—Garde la croix. 18) (co. Kent). Az. a cross pattée or. Crest—A wolf’s head erased or. 19) (co. Kent). Az. a cross flory or. Cresl—A wolf’s head erased per fess or and az. 20) (co. Kent). Vairé ar. and sa. 21) (Carlton Curlew, Burton Ovrey, and Marston Trussell, co. Leicester; George Ward, of Carlton Curlew and Marston Trussell, temp. James I., fourth in descent from Theobald Ward, of Carlton Curlew, temp. Henry VI. Visit. Leicester, 1619). Az. a cross flory betw. four annulets or. 22) (Hinckley, co. Leicester). Vairé az. and erm. 23) (Lincoln’s Inn, London; descended from Salisbury, co. Wilts, and Henley-upon-Thames, co. Oxford; Leonard Ward, Esq., of Lincoln’s Inn, temp. Charles II., son of William Ward, of Salisbury, and grandson of Leonard Ward, gent., of Henley-upon-Thames; confirmed by St. George, Norroy. Visit. Middlesex, 1663). Az. a cross patonce or, a border erm. Crest—Out of a mural crown gu. a wolf’s head or. 24) (London). Az. a cross patonce or. Crest—Out of a mural coronet or, a wolf’s head per fess gold and az. 25) (Bloomsbury Square, London). Same Arms. Crest— A wolf’s head erased ppr. 26) (London). Az. a cross erm. in the dexter chief a wolf’s head erased ar. Crest—Out of a ducal coronet or, a wolf’s head ppr. 27) (London). Ar. a chev. betw. three martlets sa. 28) (Lord Mayor of London, 1484; descended from co. Herts). Lozengy or and gu. a saltire az. fretty ar. 29) (Lord Mayor of London, 1681). Az. a cross pattee or. Crest—A wolf’s head erased or. 30) (Lord Mayor of London, 1719). Az. a cross patonce ar. 31) (Hackney, co. Middlesex). Erm. a cross flory betw. 32) (Heath House, co. Middlesex; represented by Charles Douglas Lane, Esq., eldest son of Captain Richard Douglas Lane, 17th Lancers, by Elizabeth Middleton, only dau. and heir of Thomas Ward, Esq.). Ar. on a pile engr. az. a cross flory of the field. 33) (Bexley, co. Norfolk, bart., extinct 1770; Sir Edward Ward, Knt., of Bexley, fourth in descent from Henry Ward, Esq., of Postwick, who was descended from John Ward, of the Manor of Kirby Bedon, same co., A.D. 1363, was created a bart. 1660; the eighth bart. d.s. p.). Chequy or and az, a bend erm. Crest (granted by Dethick, Garter, 24 Nov. 1675)—A buck pass. ppr. collared, lined, and ringed or. Crest (on the tombstone of Sir Edwabd Ward, Bart. )—On a chapeau gu. turned up erm. a falcon rising ar. 34) (Walcot and Salhouse, co. Norfolk; descended from Robert Ward, who erected the mansion ut Walcot, and d. 1639). Ar. on a bend engr. sa. betw. two acorns slipped vert three fleurs-de-lis or. Crest—A dexter arm erect, couped at the elbow, vested quarterly or and vert, cuffed ar. the hand ppr. holding a pheon also ar. Motto—Usque ad mortem fidus. 35) (Yarmouth, co. Norfolk). Gyronny az. and sa. a cross patonce erminois. 36) (Houghton Parva, co. Northampton; granted 1695). Erm. on two bars gu. three martlets or. 37) (Brooke, co. Norfolk; confirmed by Cooke, Clarenceux, 1576). At. a cross vert betw. four martlets gu. Crest—On a mount vert an eagle displ. erm. 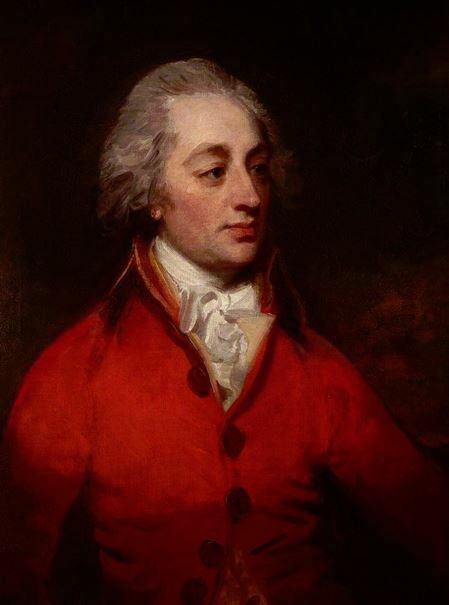 38) (Lucas-Ward, Guilsborough Park, and Great Addington Hall, co. Northampton; John Ward, Esq., son of the Rev. Thomas Ward, Rector of Ould, co. Northampton, purchased the manors of Guilsborough and Nortoft in 1710, and was High Sheriff of the co. in 1730; his grandson, Richarkd Ward, Esq., of Guilsborough, s. his uncle, Sir Thomas Ward, Knt., 1778, and d. unm., when the estates devolved upon the late representative of the family, William Zouch Lucas, Esq., son of John Lucas, Esq., by Anne, his wife, dau. of the above named John Warbd, Esq., who then assumed the additional surname and arms of Ward). (Ward-Boughton-Leigh; Guilsborough Hall, co. Northampton). Az. a cross patonce ar. Crest—A wolf’s head erased or. Motto—Sub cruce salus. 39) (co. Northumberland; Sheriff of Newcastle-upon-Tyne 1431). Ar. a cross patoncée or, in sinister chief a mullet of the last. 40) (Henley-upon-Thames co. Oxford). Az. a cross patonce or, a border erm. Crest—Out of a mural coronet gu. a wolf’s head or. 41) (co. Oxford, Rowley Ward, Serjeant-at-law, temp. James I.; quartered by Wickham, of Swallcliffe, co. Oxford; Martha, dau. and heir of Rowland Ward, m,. Humphry Wickham, Esq., of Swallcliffe, and d. 25 May, 1663. Visit. Oxon, 1634). Or, a chief az. 42) (Shenstone, co. Stafford ; granted to Thomas Ward. Visit. 1664). Az. a cross pattee or, a canton ar. Crest—A martlet sa. guttee d’or, holding in the beak a fleur-de-lis ar. 43) (Brockton, co. Stafford ; certified by Dethick, Richmond, and King, Rouge Dragon, 1678). Ar. two bars gu. On each three martlets of the first, in chief a cross patoncee betw. two fleurs-de-lis az. a border engr. sa. 44) (Oakland, Wolverhampton, co. Stafford). Per saltire az. and sa. a cross pattee betw. four pheons, two in pale and as many in fess or. Crest—In front of a cubit arm ppr. grasping an arrow in bend sinister or, three crosses guttee gold. Motto—Spes mea in Deo. 45) (co. Stafford). Az. a cross pattee or, a canton ar. 46) (co. Stafford). Az. a cross pattee or, a canton ar. 47) (Gorleston, co. Suffolk; granted by Cooke, Clarenceux, 1593). Az. a cross betw. four eagles displ. ar. Crest—On a mount vert a hind couchant ar. 49) (Birmingham, co. Warwick; granted 1575). Chequy or and az. a bend erm. Crest—An Indian goat ppr. collared, ringed, lined, and armed or. 50) (Brayford, co. Warwick). Az. a cross patoncee or. Crest—A wolf’s head erased or, a mullet for diff. 51) (Coventry, co. Warwick). Az. on a bend or, two cinquefoils gu. a border engr. ar. 52) (Ogbourne St. Andrew, co. Wilts). Quarterly, 1st, az. a cross patonce or, on a border of the last eight hurts, for Ward; 2nd, or, three bendlets az. on a chief erm. two crosses pattee gu., for Hawkes; 3rd, erm. on a chev. vert betw. three bugles stringed aa. an escallop or, for Foster; 4th, ar. on a bend gu. betw. three pellets us many swans ppr., for Clark. Crest—A wolf’s head erased or, gorged with a collar az. thereon an escallop gold betw. two bezants. Motto—Garde la croix. 53) (Salisbnry, co. Wilts; descended from Ward, of Henley-upon-Thames, co. Oxford). Az. a cross patoncee, a border erm. Crest—Out of a mural coronet gu. a wolf’ head or. 54) (Marlborough, co. Wilts). Ar. a cross patonce or, on a border of the second eight hurts. 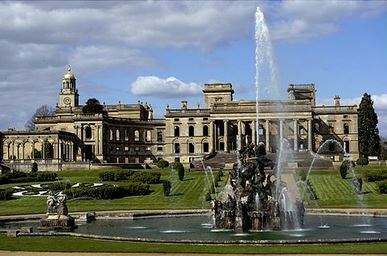 55) (Witley Court and Dudley, co. Worcester; descended from William Wabd, of London, sixth son of Edward Ward, of Bexley, co. Norfolk, he m. Elizabeth, dau. 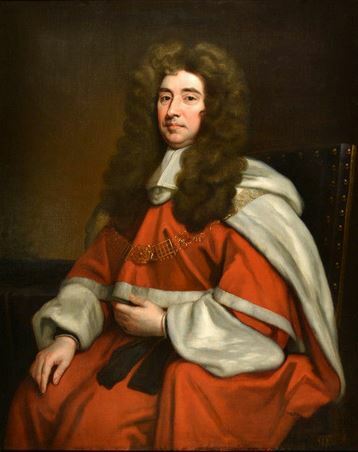 of Richard Humble, of London, and had a son, Humble Ward, who m. Frances, Baroness Dudley in her own right, and was created, 1664, Baron Ward, of Birmingham, from whom descends the Earl of Dudley). Chequy or and az. a bend erm. Crest—Out of a ducal coronet or, a lion’s head az. Motto—Comme je fus. 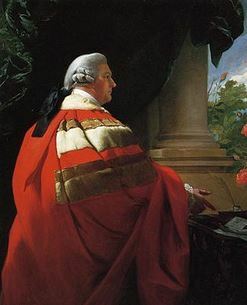 56) (Baron Dudley, in abeyance 1751 ; Viscount Dudley and Ward and Earl of Dudley, extinct 1833; Edward, second Baron Ward, s. his mother, Frances, Baroness Dudley, as eleventh Baron Dudley, 1701; William, fourteenth Baron Dudley, and fifth Baron Ward, d. unm. 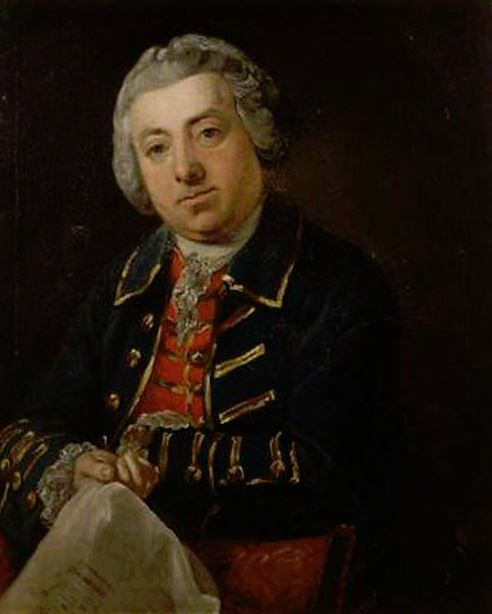 1740, when the Barony of Dudley devolved on his nephew, Ferdinando Dudley Lea, as fifteenth Baron Dudley, at whose death the barony fell into abeyance, and the Barony of Ward devolved on his cousin, John Ward, as sixth Baron Ward, who was created, 1763, Viscount Dudley and Ward; John William, fourth Viscount Dudley and Ward, was created, 1827, Earl of Dudley, and d.s.p., when the viscounty and earldom expired, and the Barony of Ward reverted to his cousin, Willlam-Humble Ward, as tenth Baron Ward). Quarterly, 1st, chequy or and az. a bend erm., for Ward: 2nd, or, a lion ramp. double queued vert, for Sutton, Baron Dudley: 3rd, or, two lions pass, guard, in pale az., for Somery; 4th, ar. a cross flory az., for Lexington. Crest: A lion sejant full faced az. Another Crest—Out of a ducal coronet or, a lion’s head az. Supporters—Two angels ppr. crined and winged or, under robes sanguine, uppermost az. 57) (Earl of Dudley; William, eleventh Baron Ward, of Birmingham, was so created 1860). Chequy or and az. a bend erm. Crest—Out of a ducal coronet or, a lion’s head az. Supporters—Two angels ppr. crined and winged or, under robes sanguine, uppermost az. Motto—Comme je fus. 58) (co. Worcester). Ar. two bars betw. three martlets gu. a border engr. sa. 59) (co. York). Az. a cross flory or. Crest—A wolf’s head erased per fess or and az. 60) (co. York). Az. a cross patoncee or. Crest—A wolf’s head erased or, a mullet for diff. 61) (co. York). Az. a cross flurtee or. 62) (co. York). Or, a cross patonce az. 63) Gu. a pair of wings conjoined ar. over all on a bend az. a crescent or. 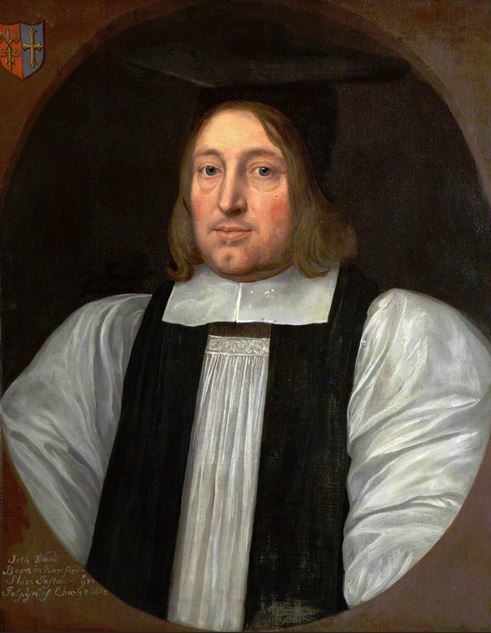 64) (Seth Ward, Bishop of Exeter 1662, of Salisbury 1667, d. 1689). Az. a cross pattee or. 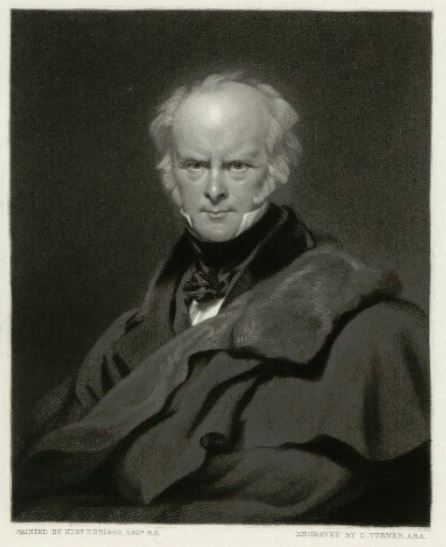 65) (William Ward, Bishop of Sodor and Man 1828-38). Az. a cross patoncee ar. 66) Az. a cross patonce or, a border erm. Crest— Out of a mural coronet gu. a wolf’s head or. 67) Gu. on a cross pattee or, five mullets sa. 68) Ar. two bars gu. each charged with as many martlets or. 69) Az. a bend or, a border engr. ar. 70) Ar. on a chev. sa. betw. three Cornish choughs ppr. an annulet of the first. 71) Sa. three mullets issuing from as many crescents ar. 72) Ar. on a chev. gu. betw. three serpents’ heads erased vert as many bezants. 73) Ar. a fess sa. betw. six crosses crosslet fitchee gu. 74) Barry wavy ar. and sa. 75) Quarterly, gu. and ar. a bendlet or. 76) (or Warde) Gu. on an inescutcheon ar. a bar sa. 77) Barry of six gu. and ar. three martlets in chief of the second. 78) (or Ware). Ar. on a bend betw. six martlets gu. three of the same or. 79) (Viscount Bangor). Quarterly, 1st and 4th, az. a cross patonce or, for Ward; 2nd and 3rd, gu. three cinquefoils erm. on a chief or, a human heart of the first, for Hamilton. Crest—A Saracen’s head affrontee couped below the shoulders ppr. Supporters—Dexter, a knight in complete armour all ppr. on his breast a cross moline gu. behind him a flowing crimson robe, a cross moline ar. on the sinister side of it, on the helmet a plurae of feathers of the last, his dexter hand resting upon a drawn sword also ppr. pommel and hilt or. the point to the ground; sinister, a Turkish prince vested in blue and gold, the habit reaching to the ankles, while stockings, yellow sandals, gold sash, and fringe round his waist, behind him a loose brown robe of fur, on his head a white turban, with black feathers, his bands chained together by a long chain ppr. Motto—Sub cruce salus. 80) (Bangor Castle, co. Down; descended from Col. Right Hon. 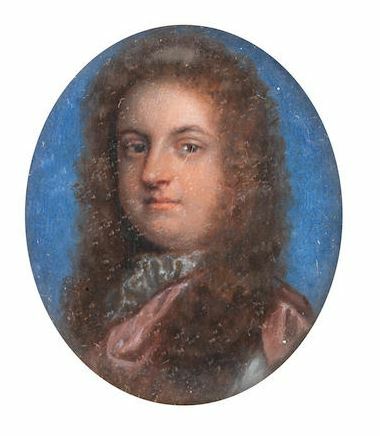 Robert Ward, third son of Bernard, first Viscount Bangor). Same Arms, Crest, and Motto. 81) (Fun. Ent. Ulster’s Office, 1617, Gonvill Ward, son and heir of Henry Ward). Az. a cross betw. four eagles displ. ar. 82) (Kilmartin, Queen’s co.; impalement Fun. Ent. Ulster’s Office, 1635, of Robert Madden, whose wife was Jane, dau. 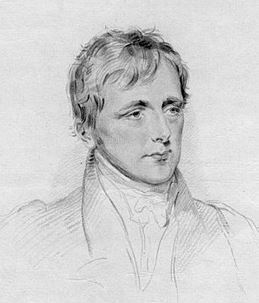 of John Ward, Esq., of Kilmartin). Az. a cross patonce or, a crescent for diff. 83) (Newbawn, co. Wexford, and Maddenstown, co. Kildare; Fun. Ent. Ulster’s Office, 1637, Thomas Ward, Esq., of Newbawn, son and heir of John Ward, Esq., of Maddenstown). Same Arms. 84) (Dublin; confirmed by Carney, Ulster, 1656, to Captain Peter Ward, of Capesterne, afterwards of the city of Dublin). Ar. on a chev. betw. three martlets sa. as many bezants. Crest—A dexter arm in armour embowed, holding in the hand a petronel all ppr. 85) (New Market, in the Earl of Meath’s Liberty, co. Dublin; registered by Hawkins, Ulster, 1713, to John Ward, of New Market, brewer, descended from Ward, of co. Leicester). Ar. a cross patonce az. Crest—A lion sejant guard. affrontte gu. 86) (Reg. Ulster’s Office). Az. three ducal coronets or. 87) (Baron de la Warde, dormant since temp. Edward II. ; Roger de la Warde was summoned to Parliament 1290; his son, Simon, second baron, summoned in 1324, was Governor of Pontefract Castle, temp. Edward II., since which period nothing is known of him, or his descendants, if any). Vaire ar. and sa. 88) (Hurst, co. Bedford). Ar. on a chev. sa. three wolves’ heads erased or, on a chief az. a cross patonce betw. two martlets of the third. Crest—A wolf’s head erased or. 89) (Pilton, co. Devon; confirmed 1614). Ar. on three bars gu. five martlets in saltire or. Crest—A martlet, wings expanded gu. rising from the battlement of a tower ar. 90) (Trimdon, co. Durham). Sa. a cross flory or, a crescent for diff. Motto—Vincit Veritas. 91) (co. Herts). Or, three escutcheons gu. each charged with an eagle displ. ar. a border engr. of the second. 92) (Lord Mayor of London, 1376). Ar. on a chev. betw. three roses gu. an annulet or. 93) (Broke, co. Norfolk). Ar. on a chev. vert betw. three martlets gu. a horse’s head erased or. Crest—On a mount vert an eagle displ. erm. 94) (Bastchurch, Hinton). (Newton, co. Salop). Ar. two bars gu. each charged with three martlets or, in chief a cross flory betw. two fleurs-de-lis az. a border engr. sa. 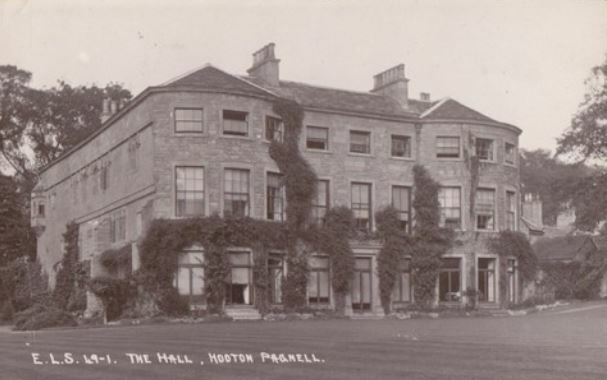 95) (Hooton Pagnell, co. York). Az. a cross patonce or. 96) (Squerryes Court, co. Kent; descended from Warde, of Hooton Pagnell; Same Arms, a crescent for diff. Crest—A wolf’s head erased or. Motto—Licet esse beatis. 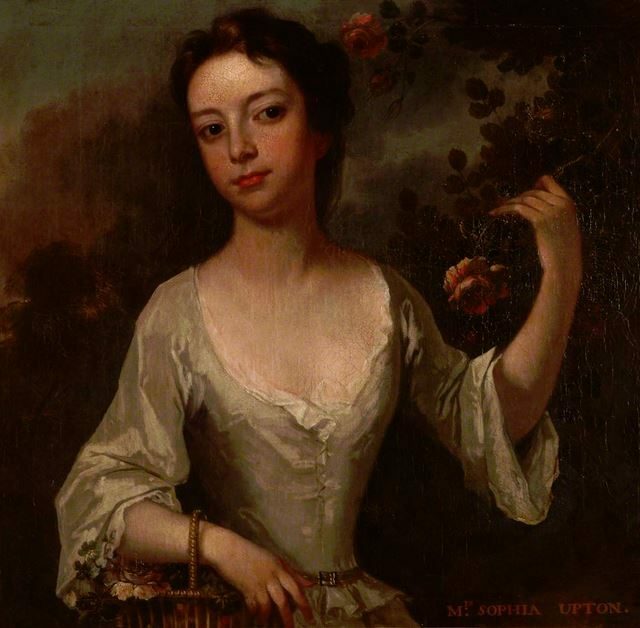 97) (Clopton House, co. Warwick ; descended from Mr. 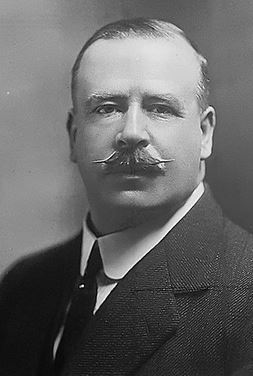 Sergeant Rowley Warde, an eminent lawyer temp. James I. Visit. Warwick, 1619). Same Arms, a mullet for diff. Crest —A wolf’s head erased or. 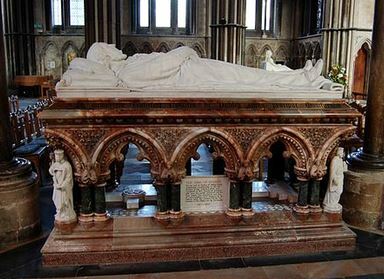 98) (Lord of Willoughby, near Newark-upon-Trent, co. Northants; John Warde, Lord of Willoughby, temp. Henry IV., left a son and heir, John Warde, whose dau. and heir, Isabel Warde, m. Richard Mallett, temp. Henry V. Visit. Notts, 1614). Az. a bend ar. a border engr. of the last. 99) (Pillerton, co. Warwick; Henrt Warde, temp. Queen Elizabeth, fourth in descent from John Warde, of same place). Az. a cross flory or. 100) (Barford, co. Warwick; confirmed by the Deputies of Camden, Clarenceux, to Thomas Warde, of Barford, third son of Henry Warde, of Pillerton). Same Arms. Crest—A wolf’s head ppr. 101) (co. Warwick; confirmed by’the Deputies of Camden, Clarenceux, to William Warde, third in descent from Warde, of Pillerton). Erm. on two bars gu. three martlets or. Crest—An eagle’s head erased ppr. ducally gorged or. 102) (Coventry, co. Warwick; confirmed, with four quarterings, by the Deputies of Camden, Clarenceux, to John Warde, son of John Warde, both of Coventry). Az. on a bend or, two cinquefoils gu. a border engr. ar. 103) (alias Farmour). (Hucklescote Grange, co. Leicester; James Warde, alias Farmour, of Hucklescote, 6. 1692, son of Thomas Warde, alias Fabmour, grandson of Lawrence Warde, alias Farmour, and great-grandson of Thomas Warde, alias Farmour, who settled in co. Leiceser from co. Chester. Visit. Leicester, 1619). Vaire ar. and sa. 104) Vair on an inescutcheon gu. a bend of the field. 105) Az. a cross ar. in the first quarter an eagle displ. of the second. Crest—On a mount vert a hind lodged ar. 106) Ar. on a chev. sa. three wolves’ heads erased of the first, a chief az. charged with a cross patonce or, thereof five hurts betw. two martlets or. Crest—A wolf’s head erased sa. eared and nosed or, charged with a chev. paly of six gold and az. 107) Or, on a bend betw. six martlets gu. three wings ar. 108) Ar. two bars betw. three martlets gu. 109) Az. a cross-patonce or. Crest—A goat’s head erased and horned or. 110) Ar. a chev. betw. three wolves’ heads erased sa. 111) Az. a bend ar. a border engr. of the last. 112) Please write blazon. Source: Armorial Lusitano, Zairol, 1961. 113) (granted by Segar. Norroy, to John Bramhall, Alderman of Pontefract, co. York, 1602). (granted by Segar, Garter, 1628, to John Bramhall, of Ripon, co. York, eldest son of Petes Bramhall, and grandson of John Bramhall, of Pontefract in the same co., descended from the ancient family of Bramhall, of Bramhall, co. Chester). Motto—Sanguine Christe tuo. (Rev. John Bramhall, Vicar of Terrington St John, and Rural Dean of Lynn, Marshland). Motto—Persta et proesta. Sa. a lion ramp. or. Crest—A lion pass. or. 114) (Cheshire and London; confirmed 21 Nov. 1628). Same Arms. Crest—A lion pass. or, on the shoulder a crescent upon a crescent for diff. 115) (Archbishop Bramhall, native of Pontefract). Same Arms. A crescent for diff., impaling Hawlet, vert a saltire engr. ar. 116) Please write blazon. Source: Arms of Oluf Moursiden (Krognos). Born 13th of march 1535 in Clausholm Death 25th of june 1573 at Hvedholm Burried in Ringsted. 118) (that Ilk, co. Forfar). Quarterly, 1st and 4th, or, a lion ramp. gu. ; 2nd and 3rd, az. a garb. or. Cresl—A dexter hand issuing, holding a drawn sword ppr. Supporters—Two chevaliers in full armour, with batons in the dexter hands, the visors of their helmets up ppr. Motto—Sto pro veritate. 119) (Carsbank, Scotland). Quarterly, 1st and 4th, ar. a cross sa. ; 2nd and 3rd, az. three garbs or, all within a bordure engr. gu. Motto—Pietas et frugalitas. 120) (Kingedward, co. Banff, bart.). Quarterly, 1st and 4th, or, a lion ramp. reguard. gu. holding in the dexter paw a cross crosslet fitchee az. ; 2nd and 3rd, az. three garbs or. Crest—A lion’s paw issuant, grasping a twig of a palm branch ppr. Motto—Sto pro veritate. 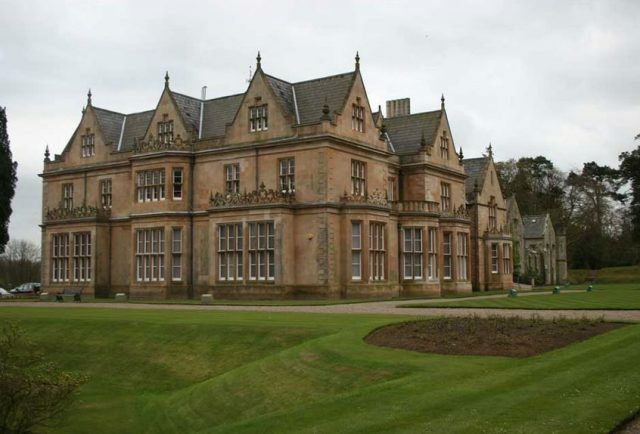 121) (Halkertoun, co. Kincardine). Quarterly, 1st and 4th, or, a lion ramp. reguard. gu. ; 2nd and 3rd, az. three garbs or, all within a bordure indented ar. Cresl—A falcon, wings erected, standing on a dexter hand in fess couped behind the wrist ppr. Motto—Ad alta. 122) (Provost of Forfar, 1672). Quarterly, 1st and 4th, or, a lion ramp. reguard. gu. ; 2nd and 3rd, az. three garbs or, all within a bordure indented ar. Crest—A cross crosslet fitchee az. Motto—Ex unitate incrementum. 123) (Lunan, co. Forfar). Quarterly, 1st and 4th, ar. a lion ramp. gu. ; 2nd and 3rd, az. three garbs or. 124) (Craigie, co. Forfar). Quarterly, 1st and 4th, ar. a cross sa. ; 2nd and 3rd, az. three garbs or. banded gu. all within a bordure waved gu. Crest—A demi lion ramp. gu. holding in his dexter paw a cross crosslet fitchee gu. Mottoes—Above the crest: Sto pro veritate; below the shield: Nec tumidus nec timidus. 125) (Baron Oranmore; arms of Guthrie, of the Mount, co. Ayr; borne under the limitations of an entail as his only arms). Quarterly, 1st and 4th, or, a lion ramp. gu. armed and langued az. surmounted of a fess ar. charged with a mount betw. two edock leaves vert; 2nd and 3rd, az. three garbs or. Crest—A dexter hand erect holding a sword in tend all ppr. and over the crest an escroll, with the motto, “Sto pro veritate.” Supporters—Dexter, a knight in chain armour ppr. holding in the exterior hand a battle axe, and on the other arm a ahield gu. charged with two lions pass. guard. or; sinister, a like knight, the armour covered by a surcoat ar. and hanging from the sinister arm a shield ar. thereon the arms of Browne, viz., barry of eight or and az. an eagle displ. with two heads sa. surrounded by an orle of martlets gu. Motto—Fortiter et fideliter. Crest of Browne (formerly used)—A griffin’s head erased ppr. 126) (Rev. R. R. Lingard-Guthrie, of Taybank, co. Forfar, 1871). Quarterly, 1st and 4th grand quarters, counterquartered, 1st and 4th, ar. a cross sa., 2nd and 3rd, az. three garbs or, banded gu. all within a bordure indented of the last for diff., for Guthrie; 2nd and 3rd grand quarters, barry of six or and vair on a bend engr. sa. four escallops ar., for Lingard. Crest—A demi lion ramp. gu. holding in his dexter forepaw a cross crosslet fitchee az. Mottoes—Above the crest: Sto pro veritate; below the shield : Nee tumidus nec timidus. It is an extremely common surname: the London Directory of 1852 recorded 187 traders bearing this surname. It is the termination of numerous other surnames including Hayward, Aylward, Durward, Milward, and Woodward. Another author notes that the name is most commonly found in Yorkshire, Lincolnshire, Leicester, Rutland, Nutts, Derby, Stafford, Warwick, Cambridge, and Northampton. The earliest records found including the Domesday Book (1086), the honor roll of the Battle of Abbey, the Pipe Rolls, the Falaise Roll tax records to church and local parish records point to some of the earliest recorded notes of the ancient name. Being recorded in the Domesday Book gives this surname great prestige and honor. One of the earliest and most prominent family of Ward was found in Northampton, England in 1130 for Osbert de Varde who was descended from Fouques de Vardes of Normandy. Fouques’ descendant, Simon Ward, was the Governor or Pontefract Castle in 1324. This leading family was raised to the peerage as Barons Dudley and Viscounts Bangor and reassumed the title of Baron Ward, which had become extinct with Simon. In addition, there was William Ward who is found in the 1194 Pipe Rolls of the city of York and Walter de la Ward of Oxfordshire who was found in the Pipe Rolls of Leicestershire in 1273. Less is known about Irish Ward family except that the name originated from the Gaelic “Man an Bhaird” or the “son of a poet” which was anglicized into McWard after Oliver Cromwell had taken control of Ireland in the 17th century. The family was concentrated in County Galway and Donegal where generations of Ward poets lived. In Ireland, the first known Ward was Maelish Macaward who was a bishop in Conflert, County Galway in 1179. In Scotland, John de Warde is found in the records in 1376. When the English migrated to Ireland they brought their Protestant religion with them and were given lands that were owned by the Irish. Thus the root of generations upon generations of the Irish raising up against England in their desire for Home Rule began. These people settled in Wexford, Dublin and Bangor Castle in County Down. Because Ward is an English surname of the British Empire, it follows that the name migrated to its territories and colonies of Scotland, Ireland, America, Canada, New Zealand, Australia and India. Its variations include Ward, Warde and Varde. In Ireland, variations included Macanward, MacAward, MacEvard, MacEward, McWard and M’Ward. Later “Mac or Mc” was dropped. In addition, the Jewish surnames of Warshawski and Warshawsky were angelized to Ward. Also, Ward is used as a given name to a male child. The first Ward was John Ward of Virginia who arrived in 1624. Andrew Ward, who claimed that he was descended from Osbert, arrived in Massachusetts about 1630 and then went on to be one of the founders of Wethersfield and Stamford, Connecticut. He served as the Colonial Commissioner of the state of Connecticut. The history of one of the earliest Ward settlers in the U.S. colonies is outlined in the book “The William Ward Genealogy: The History of the Descendants of William Ward of Sudbury, MA, 1639-1925.” William Ward(e) was born in England about 1603 and emigrated to the Massachusetts Bay Colony in 1638. In early documents his name was spelled as both Ward and Warde, but as time went on the “e” was dropped. The majority of these Ward people were farmers, however of the 10,746 descendants listed there were 396 college graduates with 56 of them from Harvard University. There were also 59 members of governmental representatives including senators, state and national legislators, not to mention 22 judges and the roles of men and women who fought in every conflict or war, including the American Revolution, as dedicated soldiers and patriots, over the generations. The Ward name is also significant in Native American history in the U.S. originating with Nancy Ward (1738-1822) as found in “Ward Family History Record of the Eastern Cherokee Indian Tribe.” Nancy is famous for being a Cherokee Indian woman who saved the white settlers by alerting them to a pending Indian attack during the American Revolution. Nancy’s daughter, Betsy, married General Joseph Martin who was the first Indian agent in the state of Tennessee. The Cherokees are a matrilineal tribe meaning their lineage is traced through the mother’s side of the family. The Indian woman had control over her life. As such, Nancy was also a part of the Cherokee governing system where she would sit on councils and be a part of the decision-making process. Bernard Burke’s “The Landed Gentry” discusses several branches of this family. 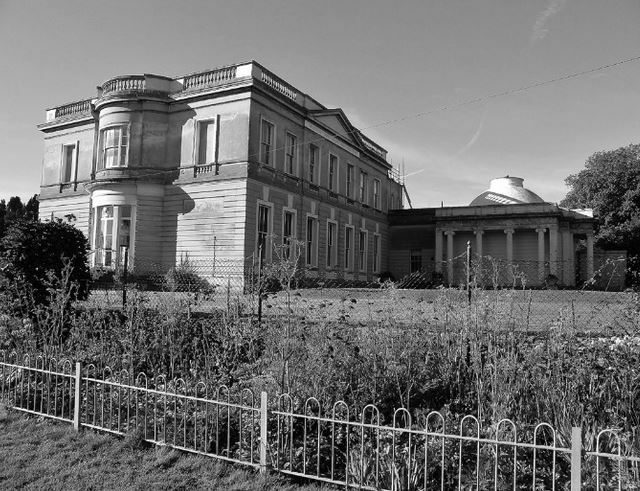 The first is Ward of Bangor Castle that traces back to Visccount Bangor and Edward Michael Ward. Another notable of this branch is Robert Edward who was born in 1819, served as High Sheriff, and married Harriette Ward. The second line mentioned is Ward of Calverley, which traces it back to Samuel Ward, who lived during the 1600s and had two sons: Thomas and Samuel. Also mentioned in this line are William Ward born in 1743 who married Catherine Neville, as well as Arthur Wellesley Ward born in 1813 who married Catherine Anne Murray in 1836. The third line documented is Ward of Northwood Park, whose lineage goes back to John Ward, who served under Admital Rooke and the Prince of Hesse, who died in the Garrison of Gibraltar. 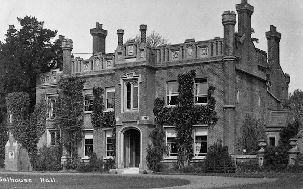 A notable in this line is William George Ward of Northwood Park, Weston Manor, and the Isle of Wight who married Franches Mary Wingfield in 1845 and had five children: Edmund Granville, Wilfrid Philip, Bernard Nicolas, Mary, Agnes Frances, Cecilia Emily, Gertrude Teresa, and Margaret Mary. He was a highly distinguished editor for the Dublin Review and was involved in Catholic theological literature. The fourth line mentioned in the book is Ward of Ogbourne St. Andrew, which traces its lineage back to Michael Ward, of Newcastle-under-Lyme in county Stafford, who died in 1641 and three children: Thomas, Michael, and Richard. Another notable mentioned in this line is Michael Foster Ward (born in 1826) of Ogbourne St. Andrew and Draycot Foliat in Wiltshire county, who was an officer of the 90th Light Infantry and a Lieutenant Colonel of the North Wilts Rifles. 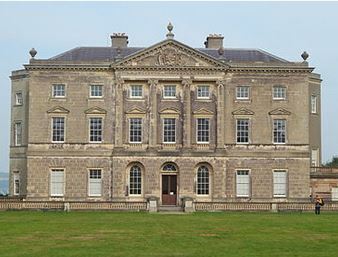 The fifth line mentioned is Ward of Salhouse, who were long seated in county Norfolk who resided at Walcotte, which was built by Robert Ward who married Bridget Callow. Other lines mentioned as Ward of Rodbaston, Warde of Hooton-Pagnell, and Warde of Squerryes Court. Elvin’s family mottos gives eight Latin or French mottoes for the Ward or Warde last name: Comme je fus (As I was), Fortune le veut (Fortune so wills it), Gardez la croix (Keep the cross), Obligatam redde Jovi (Pay his due to Jove), Sagaciter, fideliter, constanter (Sagaciously, faithfully, constantly), Sub cruce salus (Salvation under the cross), Usque ad mortem fidus (Faithful even to death), and Licet esse beatis (It is allowed to men to be happy). The 1920 federal census shows there were 5,547 people with the surname Ward living throughout the United States. The biggest numbers were concentrated in the states of Texas, Ohio, Illinois, Pennsylvania and New York. Today there are 305,036 people with the surname Ward living in the U.S. and 146,645 in the United Kingdom (including England, Wales, Scotland and Northern Ireland). Hines Edward Ward – An American football player who was voted MVP at the Super Bowl XL. Burt Ward – An American actor best known for his role as “Robin” in the hit television show “Batman” (1966-1968) and the subsequent feature film. Mickey Ward – An American boxer who was a three-time Golden Gloves champion and won the WBU Light Top of Form championship in 2000. His life was the subject of the 2010 film, “The Fighter” with Mark Wahlberg portraying Ward.